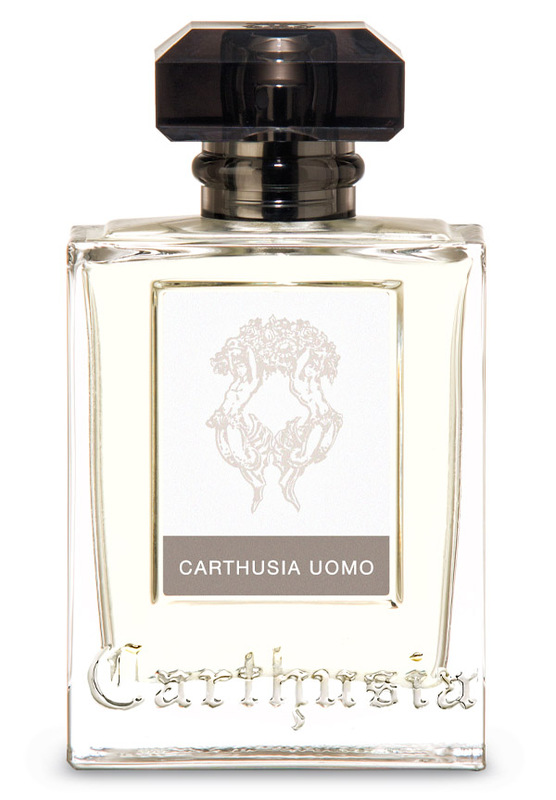 There are 24 reviews of Carthusia Uomo. This is initially citrusy before the blast of geranium takes over. Smells great and lasts long. Whats not to like? This fragrance reminds me of a old Insignia deodorant (light blue can) from the Eighties. It also bears a resemblance to Ice Men by Mugler. It has a fresh musky mossy geranium scent mixed in with woods. It smells nice but very one dimensional, it does not hold my interest. JDE's review captures much of what I experience with Carthusia Uomo, so I will try to be brief. I can see how some might dismiss this as redundant or generic (I get echoes of D&G Light Blue, for instance), but I like this style of fragrance. What sets Uomo apart is that it is very well constructed. It took me half a dozen wearings to fully appreciate it, and I feel I'm still getting to know it. I don't smell much raspberry (at least not in a "fruity" sense), but the seaweed note that others have mentioned dances wonderfully throughout the mid notes. This could be worn casually or for a semi-formal occasion, but it certainly has an "elegance" to it. Uomo is probably best suited for warmer weather. Wow Carthusia Uomo is a blast of geranium and green leaves. It smells sophisticated and clean. Balanced off by soft musk, woody notes and citrus. Very, very masculine. I love the way I smell right now. Very well made and long lasting. Luca Turin gives this only one star and dismisses it as a "citrus woody." I would not be that severe, but it is dismissible. I get only one of the notes put out by both Carthusia's web site (Cashmere -what does that smell like?, Kelp, Citrus, Cedarwood) and other Basenoters in these reviews (Rosewood, Raspberry, Leather). On my skin to my nose it begins as a very light cumin, followed by an equally light and pleasant musk - and that's it. No development, no other notes. A light and refreshing summer splash of no distinction. I would expect to find this in a drug store selling for $10 per 100 ml. As such, it only gets a neutral rating from me. Pleasant, but simplistic and unremarkable. modest sillage and duration, boring to tears to say the least, a mistake that won't be made again! Sealed Box CARTHUSIA UOMO 25ml 0.84 oz Eau De Parfum For Men Brand New! Sealed Box CARTHUSIA UOMO 3.4 oz 100ml Eau De Parfum Spray For Men Brand New! There are no member images of Carthusia Uomo yet. Why not be the first?